Eden Custom Processing, LLC has been recycling a variety of solvents including Glycols, Diols, as well as n-Methyl Pyrrolidone to meet or exceed customer specifications since 2003. Our operations began and continue today in Eden, North Carolina. Our Eden system is centered around a hastalloy Thin Film Evaporation Unit capable of removing various impurities, including solids, to produce a pure refined solvent. In addition to our main system, we also operate several smaller scale distillation systems in order to cost effectively meet the need for lower volume recovery projects. We are excited to report, we have broadened our operation with the purchase of our Roanoke, VA facility in January, 2011. This added system is made up of a forced circuit evaporator system and 2 fractionation columns to further expand our solvent distillation capabilities. Beginning in 2017, we are relocating this system to Eden in order to better serve our customers. In addition to our processing equipment, both locations house fully functioning laboratories, equipped with all necessary testing capabilities to ensure our product meets your expectation every time. 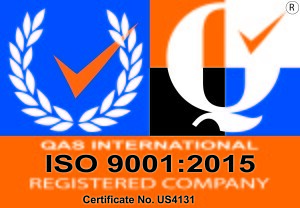 We are ISO 9001:2015 certified so you can feel confident in the quality of the product we offer. We look forward to hearing from you regarding your solvent recycling needs. Our team is dedicated to providing excellent service to our customers.